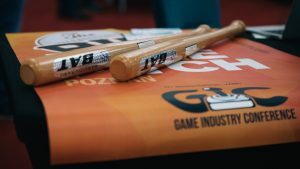 This year at GIC we will host two very special events. If you’re an indie developer, then this is something you should definitely attend. Pitch your game to the judges including journalists, publishers, investors and industry experts. Sounds interesting? Read more information below. 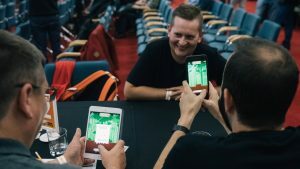 The Big Indie Pitch is an event dedicated to mobile indie game developers. It will take place during GIC, in pavilion 15 on Thursday, October 11th, from 1pm to 6pm. 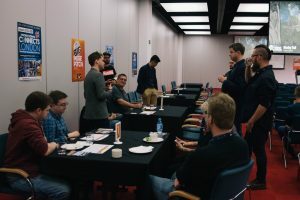 You will have four minutes (plus one minute for Q&A) to pitch your game and get a feedback from experts. Moreover, there is also a prize for the winner – Steel Media marketing package and editorial coverage in Pocket Gamer, AppSpy and more. Deadline for submissions is Monday, October 8, 2018 (all approved pitchers will be emailed confirmation). You can register your game here. Join us if you’re making a game for at least one of these platforms: iOS, Android, Windows Phone, Handheld Console, Virtual Reality, Augmented Reality. More details can be found here. 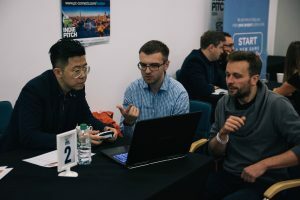 The PC Indie Pitch is the event based on the same idea but this time it is dedicated to PC indie game developers making games for Windows platform. It will take place during GIC, in pavilion 15 on Thursday, October 11th, from 1pm to 6pm. The speed dating format gives you four minutes (plus one minute of Q&A) with each panel of experts. That means you will get real feedback from the event. Take your chance to impress experts and win a Steel Media marketing package worth $5,500, as well as editorial coverage in PCGamesInsider.Biz and beyond. Deadline for submissions is Monday, October 8, 2018 (all approved pitchers will be emailed confirmation). You can register your game here. Details are available here.